There’s nothing wrong with working hard; It keeps us competitive and successful. In fact, Americans are near the top of the list for working long hours. Full-time employees reported working an average of 47 hours a week — that’s almost 6 days a week! But there’s a fine line between being dedicated and being a workaholic. 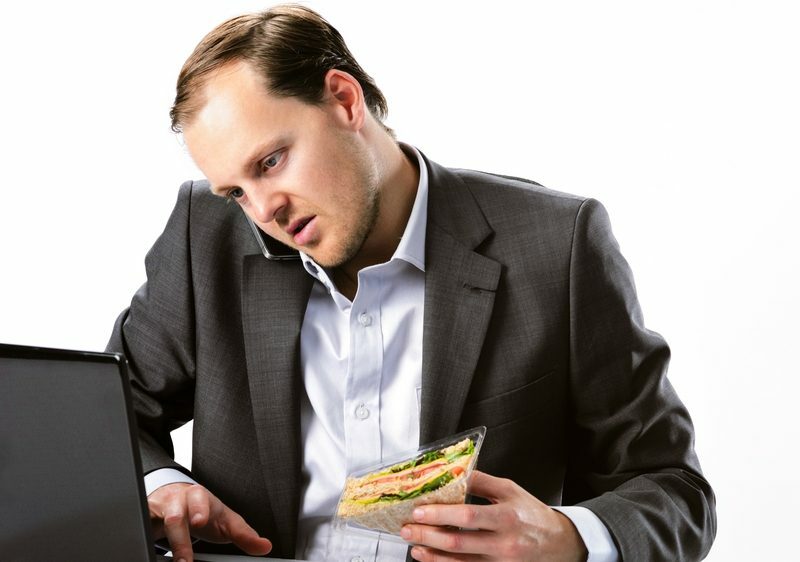 It’s not surprising to us that working too much can be bad for your body. This study found that working more than 10 hours a day led to a 60% increased risk of heart problems. You’re thinking that surely a few overtime hours can’t hurt, right? It’s hard to tell if you’re sacrificing too much for your job, so we’ve made a list of some signs that show you work way too much and need some me-time. Watching the game on Sunday isn’t something you should feel bad about. It’s the weekend and you’re trying to relax, so if you get anxious or feel guilty, that’s a clear sign that work is all you can think about. You’re never completely disengaged from the office even when you’re at home, and for some, just trying to relax during vacation can make them sick. There’s a difference between feeling like you should work and wanting to work. Plus, you need mental rest and recovery, and people that separate home and work are happier and more energetic than those who are preoccupied with work. If you can’t relax with peace and quiet, try doing the complete opposite. Go for a hard run, or call up a few friends to play a game of tennis or soccer. You’ll break a sweat and maybe get distracted by the game, the competition. Your phone goes where you go…to church and even the bathroom. If you forget your phone, it’s like the world’s about to end. You have FOMO but for work emails. 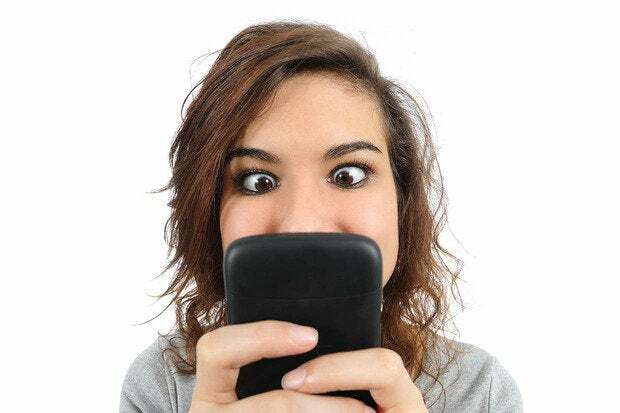 Glancing at your phone every couple of minutes to check in on what’s going on at work is another telltale sign of being a workaholic. Turn off those push notifications and stop your mobile conversations with your clients/boss/co-workers. Save the spreadsheet building and sales tracking for when you’re in the office, not on-the-go with your phone. Maybe try setting a cut-off time so that you can disconnect from your job at night. You Eat Lunch At Your Desk. Every Day. 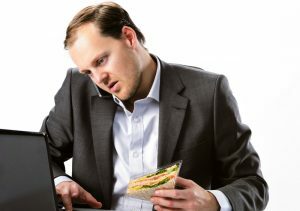 es, eating at your desk generally leads to increased calorie consumption…which leads to weight gain. What are y our conversations with friends and family like? If you’re a workaholic, chances are that they’re centered around work. Yeah, you can handle a bit of small talk, but sooner or later, the conversation will turn back to your job. When you’re asked what you like to do for fun, you probably respond, “I like to read.” Which might be true, except you left out the “work emails and spreadsheets” part. Get your head out of the office and actually spend time with your family and friends. Don’t let work define your entire existence! Find hobbies and interests that aren’t your job and that actually give you fun and pleasure. You might not be a workaholic, even if you do show some of these signs. If you want more details, take this quiz to see if you’re working too much. We know it’s important to do your best and be committed, but it’s not good for you in the long run. After all, “All work and no play makes Jack a dull boy”, right?